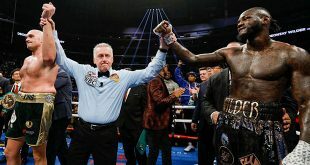 Last night at The Casino in Montreal, former IBF Middleweight title challenger Sebastien Demers, 26-2 (9), showed a return to form as "Double Trouble" won every round against American visitor Donny McCrary, 24-9-2 (13), after ten frames of combat. 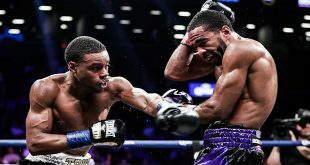 Demers was coming off a surprise split decision loss to Dionisio Miranda for the NABA belt and this was an important win as the 28 year old local man begins the rebuilding process of his career. 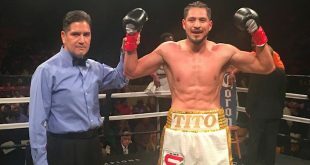 Texas based spoiler Don Mouton, 8-3-1 (7), upset former Canadian Middleweight title challenger Walid Smichet, 19-5-3 (14), by points in a ten rounder and welter prospect Phil Lo Greco, 17-0 (9), kept on track with a eight round unanimous decision over seasoned Mexican journeyman Roberto Valenzuela, 47-44-2 (39).